1997-2002 – study at Danylo Halycky Lviv National Medical University. 2002-2003 – internship at the Novoyavorivsk region hospital. 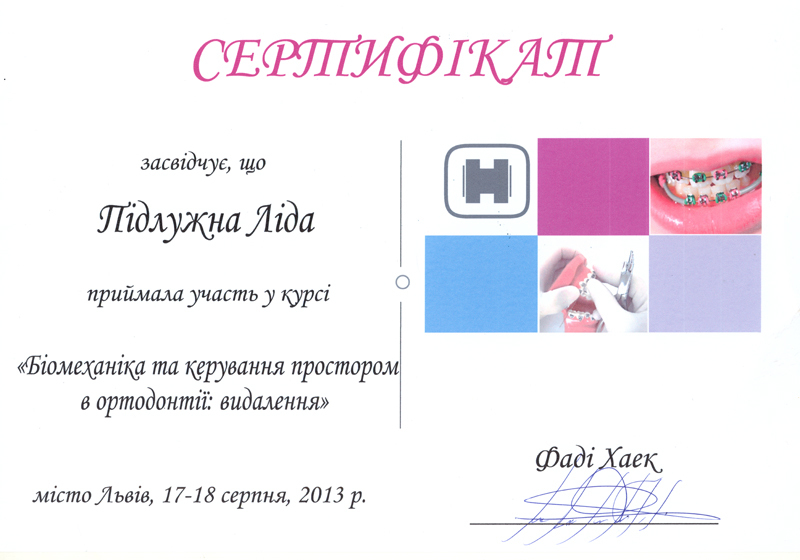 2005-2012 – worked at the “Clinic of stomatology” (Drogobych). 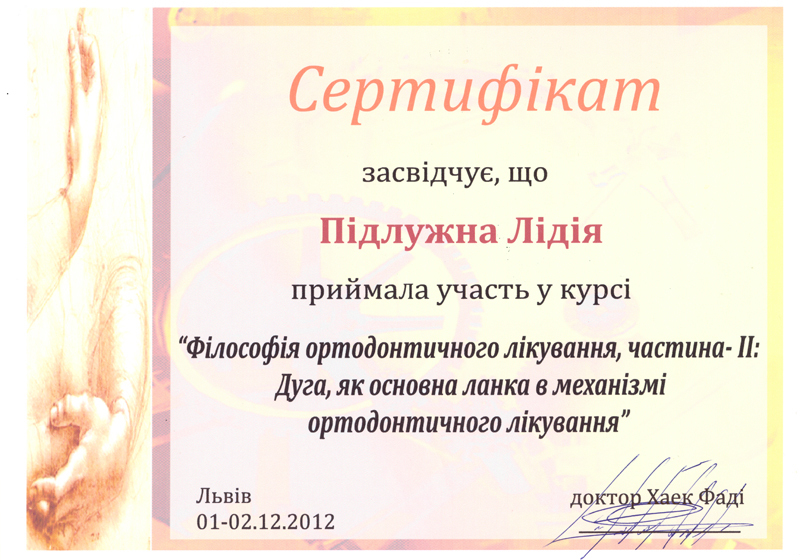 Since 2012 – works at the dental clinic “Perlyna” (Boryslav). 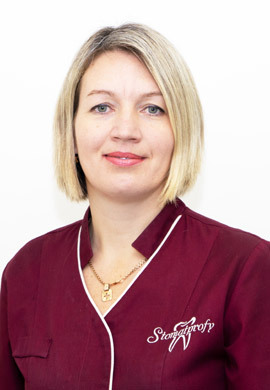 Since 2012 – works at Stomatological clinic “Stomatprofy” (Lviv). “Introductory orthodontic seminars, conceptions of Slavicek and Soto” (prof. Slavicek, Germany). “Holistic approach in treatment and rehabilitation of stomatological patients” (prof. O.D. Chechin). “Arc as a main link in the mechanism of orthodontic treatment”. 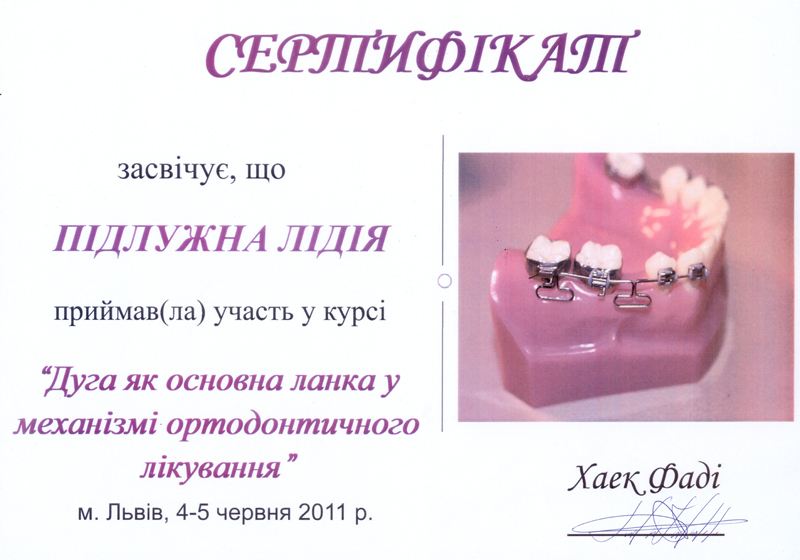 «FH – orthodontics technology “Abnormal” » (Dr. D. Protsenko, Moscow). 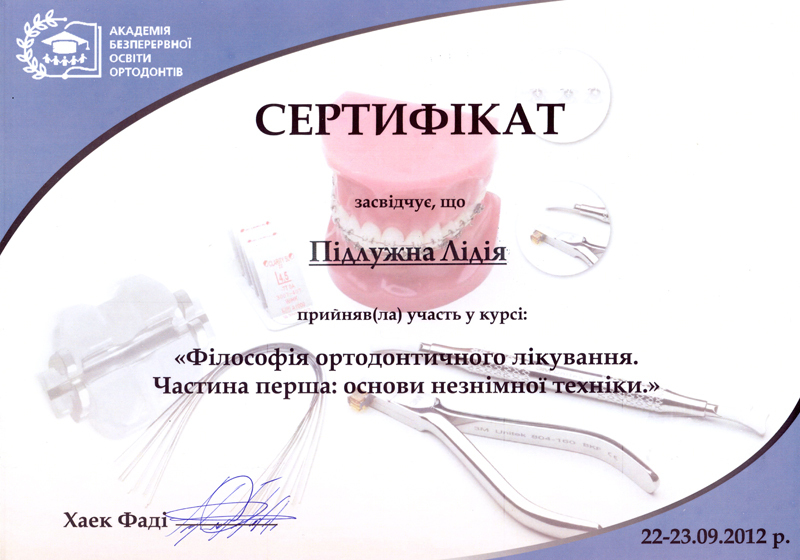 “Orthodontic treatment of the II class pathology” (Lviv). 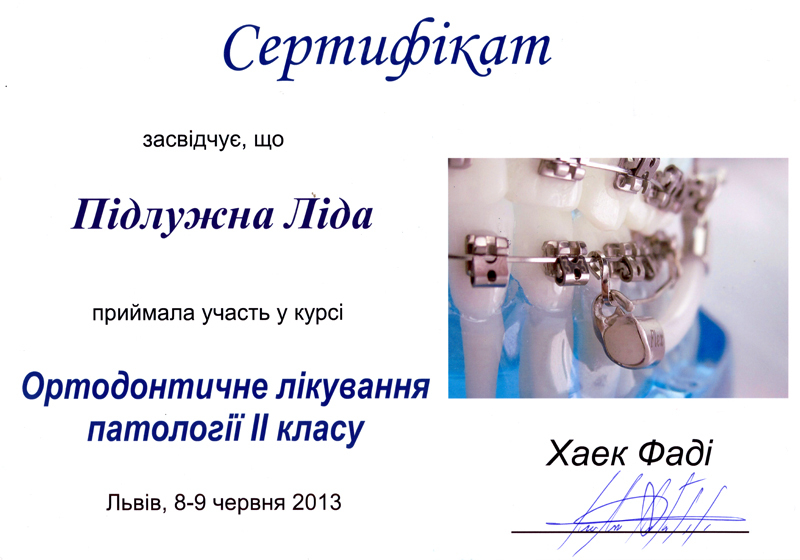 “Philosophy of orthodontic treatment, part I: Fundaments of constant technic” (Lviv). 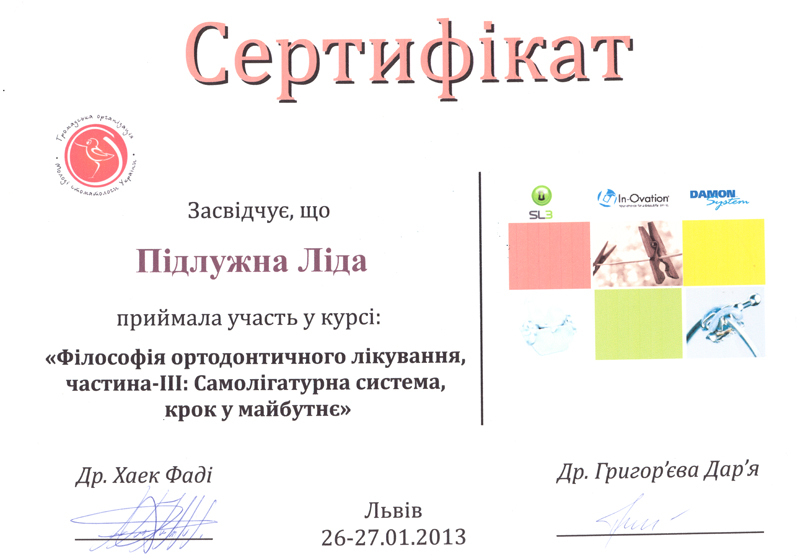 “Philosophy of orthodontic treatment, part II: Arc as a main link in the mechanism of orthodontic treatment” (Lviv). 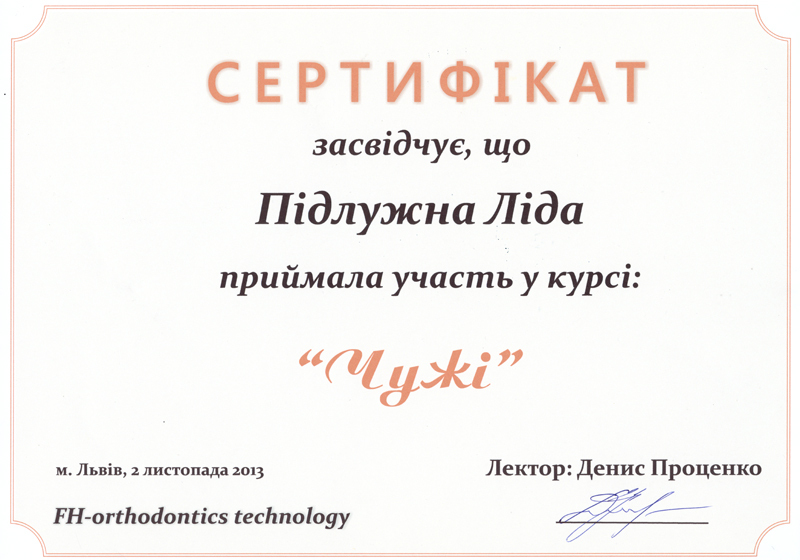 “Philosophy of orthodontic treatment, part III: Self Ligating system, step into the future” (Lviv). “Biomechanics and space control in orthodontics: removal”.